Is it Saturday again already? Whoa. I’ve been catching up on blog stuff all this week, thanks to the readathon — which is not a complaint. 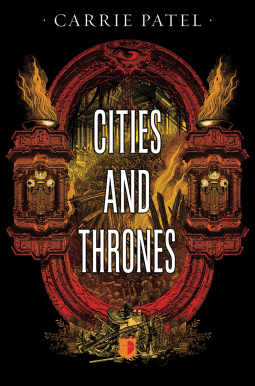 I have finally got round to writing a review of The Buried Life, which will be up soon; Cities and Thrones is the sequel. You can still check out Carrie’s post here from her blog tour for The Buried Life, too! 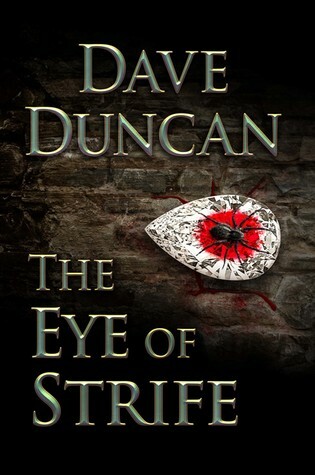 I got The Eye of Strife via LibraryThing; I’ve been meaning to read Dave Duncan for ages, so this should be interesting. I’ve been interested in Sword for a while, so I picked it as my win in one of the readathon giveaways. 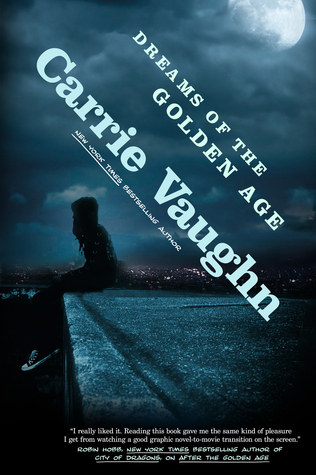 <3 Dreams of the Golden Age was my pick for another win; that hasn’t arrived yet, which is probably good, because I need to reread After the Golden Age, and I think my partner has my copy. 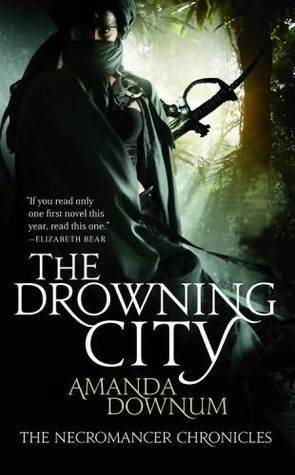 Daughter of Smoke and Bone and The Drowning City are both rereads, to get me back up to speed for the next book in the series/trilogy. 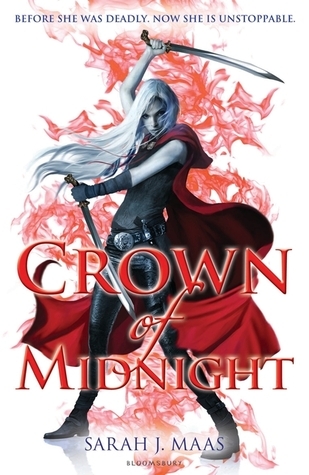 Crown of Midnight is obvious, since I just read Throne of Glass (but I’m sorry, I just don’t love it as much as some of you guys seem to). 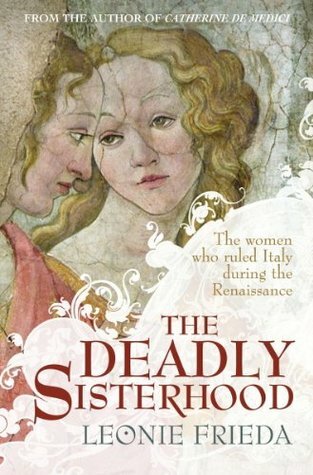 I have The Deadly Sisterhood somewhere, but goodness knows where. 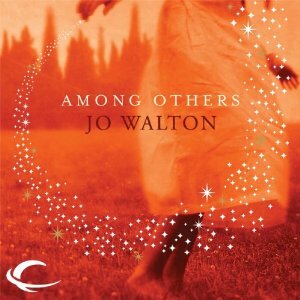 And I just like Susanna Kearsley. Quite a contrast there between the covers, heh. 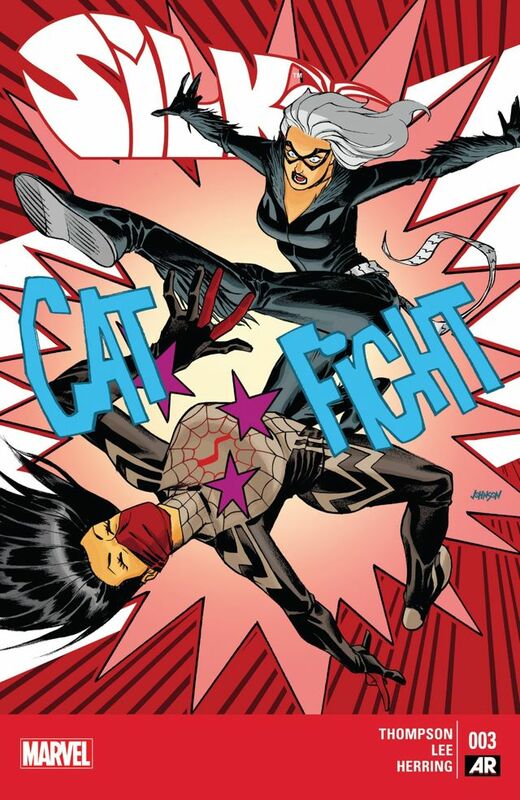 I reaaally need to actually read the issues of Silk I have… I’ve been tearing through Kowal’s series lately, just in time for this last book. I’m excited! 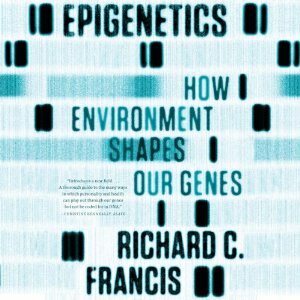 I usually prefer to listen to audiobooks I’ve already read for myself, hence Among Others and Rivers of London (the latter of which I’d like to refresh my memory on anyway); Epigenetics: How Environment Shapes Our Genes is a new one for me, which I couldn’t really resist because epigenetics! Non-fiction! Science! How’s everyone else been doing? Behaving yourselves? 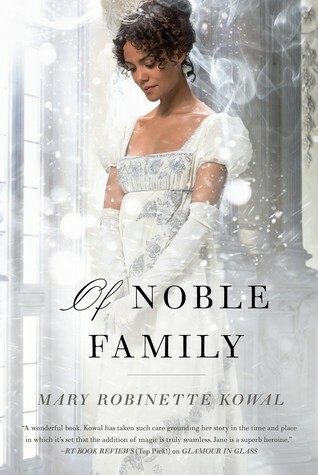 Okay, those all look great, but you got the newest Kowal, I’m so envious, argh. Ooh, isn’t it the free comic book day event now or soon? I should check on Comixology about that. Yes, it is almost free comic day! But I tend to scour comixology for free issues anyway. Theoretically this saves me money, but in essence, I bet it just means I get hooked on more series than I really ought, oops. Looks like you’ve got a wonderfully diverse selection as always. Enjoy! 🙂 I have behaved myself this week! Only three! I really need to read Sarah Maas but I never have the time. Happy reading! Congrats on your wins. 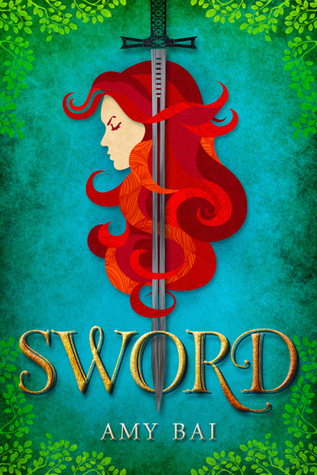 Sword has a beautiful cover and I have it in my tbr pile (so badly high right now). Your library has some great borrows. I usually have to request what books I want to read at my library. (living way out in the woods – 45 mins just to get to the closes WalMart and over an hour to get to my Book Shop… Yea lol) Well I hope you enjoy your new reads. Mine’s ridiculous, too. Soooo many books. And haha, yeah, but a well stocked library isn’t always helpful. I’ve got a shelf of library books too…! I’ve somehow never gotten around to reading Dave Duncan either, so I’ll be looking for your review. 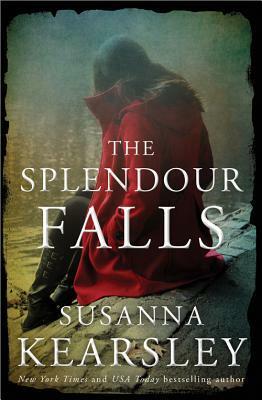 Amanda Downum’s series is one I picked up over the winter, so we’ll see if I can make time for it this summer. Sword looks so good, that cover is amazing! All new to me! Enjoy them all. 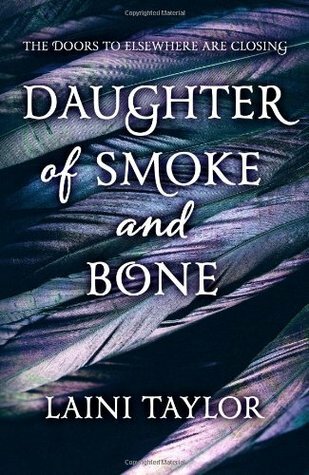 Oh, Daughter of Smoke and Bone is lovely, I hope you get to it soon! Everyone is getting Crown of Midnight! I think I’m finally going to have to break down and check it out. Great haul this week. I’m not as 100% in love as other bloggers I’ve seen, but it is a fun series! 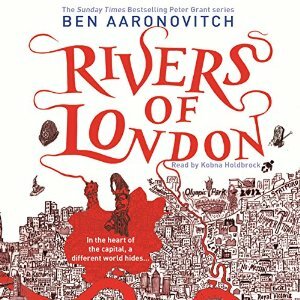 Let me know how the Peter Grant audiobooks go, I’ve read the series too I’ve been curious about the narrator for these books for a while. If I ever want to do a reread, I’ll probably hit up them up.